Anyone who knows me, knows that I am a MASSIVE Harry Potter fan. I love re-reading the books and re-watching the films over the summer. 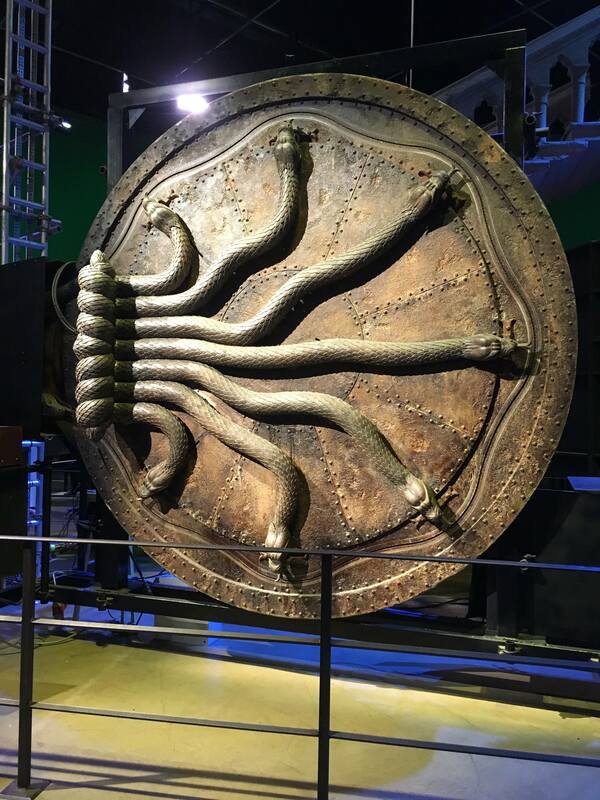 Now, if you are a Potterhead like I am then you would already know about the Harry Potter Studios which is located in Leavesden. But you might not know that the studio has just (on April 6th) unveiled their brand-new extension, the Gringotts Wizarding Bank which is their biggest extension yet! You can experience the Forbidden Forest, Hogwarts Express, Diagon Alley, the Ministry of Magic, the great hall and of course the brand new Gringotts. 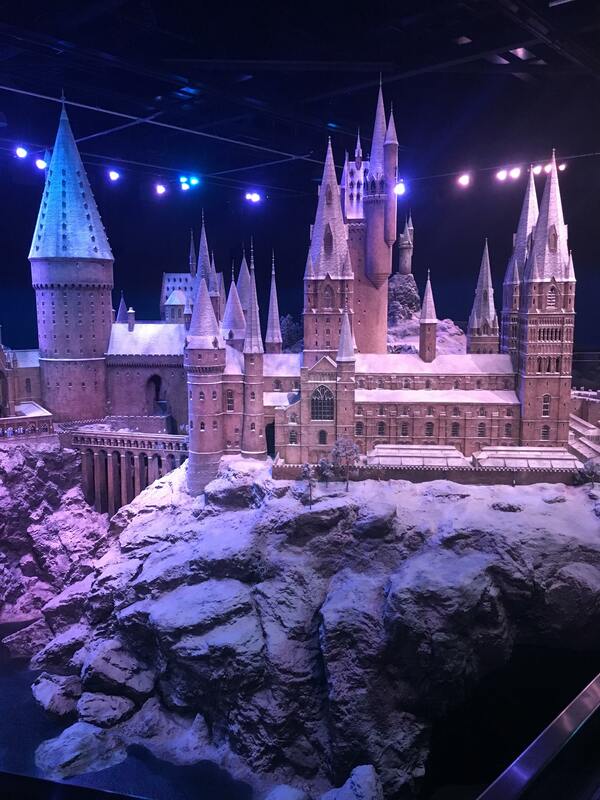 If you visit during Halloween you can visit the Dark arts section and if you are fortunate enough to go during the Christmas period, you can even witness Hogwarts in the snow! The studios are extremely interactive, you can ride a broom using the green screen for that realistic effect and you can even have a wand battle against friends and family. You can even get a picture of yourself with the trolley in between Platform 9 ¾. From there you can head on over to the Hogwarts Express! Yes, you can climb on-board and experience Hogwarts Express from the inside. It was almost as if I had become a child again, this brought back so many memories of reading the Harry Potter series and always wishing that I could experience it. I may not have received my letter from Hogwarts, but I certainly got the next best thing! After a good few hours of taking in all the fun and exciting behind-the-scenes props, costumes and sets you are sure to be famished. Head on over to the Backlot Café which is situated half way through the tour. 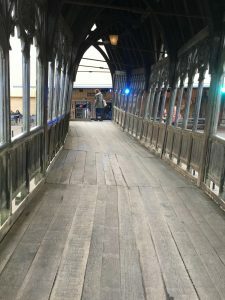 The café is located right next to the Knight Bus, Privet Drive and Hogwarts Bridge so we got to have lunch with a view! One of the coolest parts of the experience was trying the butter beer which I’ve always wanted to try. Let me tell you, it was delectable! It was sweet and creamy, everything I expected and more. You can even get butter beer ice-cream so be sure to check that out in the Backlot Café. Experience the world of Harry Potter like you have never before. Learn about all to awesome behind-the-scenes tricks. If you have ever dreamed of owning your own wand or time turner or even trying the infamous Bertie Bott’s Every Flavour Beans, check out the Studio shops to purchase these magical goodies. You can be one of the first to see the brand new Gringotts Wizarding Bank so be sure to book your tickets!